Here are some of the tips for you to look and feel confident on the big night! Achieving sophisticated look is essential. Styling and being prepared is the key. No matter your body type, shape, or size, there is an amazing dress out there for you. Always go for dresses that are unique, fit you like a glove, and most important, you want to feel comfortable and beautiful. 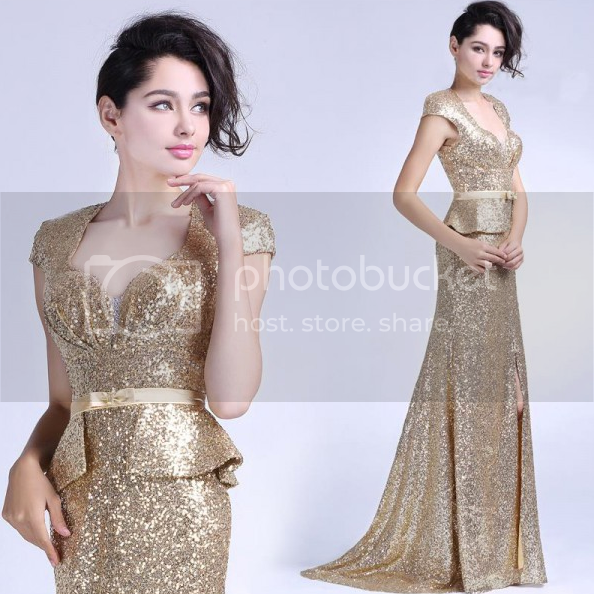 And one of the best place to get cheap prom dresses 2015 is from online stores. I know this site called Gbridal. They focus on selling 2015 prom dresses under 100. perfect for those who are really looking for a specific dress. You also want to check ASOS, they also have prom dresses, you might find something you want. People will tell you what and what not to do but this will affect your overall outlook for that day. Try to filter them and think focus on the good things. This will push you in a good place. And this will make you think less about how your prom dress look on you. Schedule your hair and make-up appointment as soon as you know the date of your prom. make sure your prom dress is perfectly tailored for your body measurements. Also plan the things you'll bring like bobby pins, mirror, blotting papers, double sided tape for emergency purposes. You've got your lovely dress! Now finish off your prom look with the perfect extras, from amazing jewelry to cute clutches and dainty accessories. A clutch is very cute and fashionable, but because it does not have a handle, one hand is always occupied with it. Your clutch does not have to exactly match the color of your dress. In fact, if you would like to attract more attention to your prom dress and to yourself, look for a purse in a contrasting yet complementary color. When it comes to accessories, rhinestones are the most popular choice for prom night jewelry. They are very elegant and add the perfect dressed-up look to your prom style. That's all for today. Let me know what you think about this post. Thank you for reading! these dresses and tips are so wonderful! unfortunately, we don't have prom at our school, but thanks for the great share! !